44 buyers have shortlisted this project. 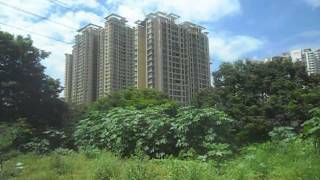 Rustomjee Azziano is a 36 storied Ready Possession Project and the location is Near Majiwada Flyover, Thane West and is developed by Rustomjee. Rustomjee Azziano was launched in Apr 2012Rustomjee Azziano is RERA approved has the Registration Number bearing P51700001021, P51700001060, P51700001453. Rustomjee Azziano is tagged as Investors Delight / Self Use / RERA Approved / RERA Approved. Rustomjee also has other under construction and ready possession and sold out projects like La Sonrisa, Adarsh Excellency, Riviera D wing, 7 JVPD, Orva, Rustomjee Athena, Regal B, Elanza, Rustomjee La Roche, Acura, Global City, Rustomjee Ciroc, Rustomjee Elita, Adarsh Regal, Rustomjee Oriana, Astraea, Atelier, Rustomjee Meridian, Rustomjee Seasons, Rustomjee Summit, Rustomjee Azziano, Rustomjee Evershine Global City, Rustomjee Elements, Rustomjee Le Reve, Rustomjee Azziano, Rustomjee Atelier, Rustomjee Azziano, Rustomjee Urbania, Rustomjee Paramount, Rustomjee Aurelia, Rustomjee Pinnacolo, Rustomjee Azziano, Rustomjee Azziano. The property prices in Thane West are in the range of 9300 to 12700 for Outright for ready and under construction projects. Rustomjee currently has 3 Ready Possession, 9 Under Construction projects. Rustomjee Azziano has good reviews and the ratings of this project are approximately 5 out of 5. You can download the brochure of Rustomjee Azziano and you can see the latest digital pictures, Floor Plans, Location Plans & Rate History on our website. The Bookings for the Ready Possession project Rustomjee Azziano are open and we can set up a Site Visit any time at your Convenience. Rustomjee Azziano is approved by most of the Banks and for more details on the approved bank list, please connect with us. "Azziano - F Wing" is a 36 Storey tower having all the modern amenities like Swimming Pool, Garden, etc. 828 sq.ft. Carpet - Base Price ₹ 1.49 Crs. Rustomjee Azziano details were updated in Nov 2018. Rustomjee Azziano - Rustomjee Approved by the following Banks in Mumbai, Thane and Navi Mumbai. Click on the link below to download a Printable Rustomjee Azziano Project Brochure.